She deserves to be a princess on her birthday. 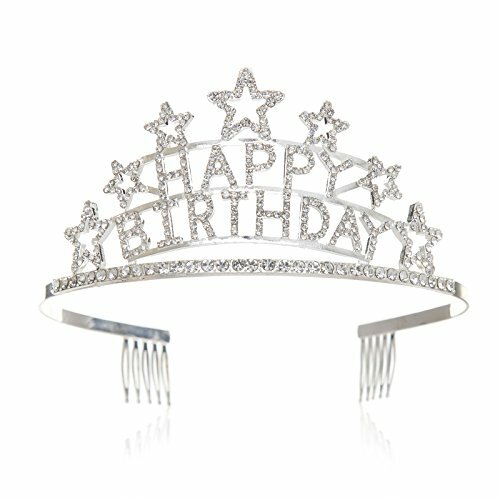 Get her this gorgeous tiara, and she'll sparkle on her party. 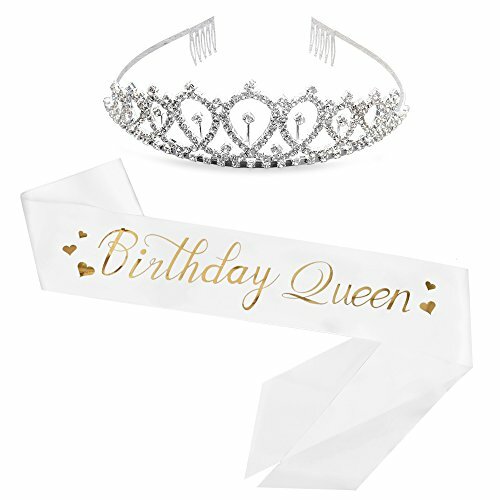 1.Sparkly and so pretty, this tiara is "Happy Birthday" lettered in clear crystals, perfect statement piece for your birthday party. 2.This is not a plastic toy tiara. 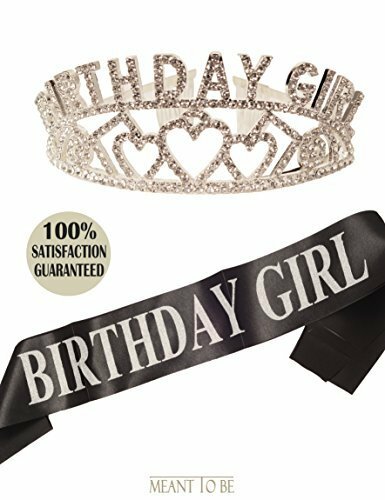 The Happy Birthday Soiree tiara is constructed using a high-grade alloy mold. It will last through the party and will be a keepsake. 3.Applies to both adults and children. 4.Metal combs on both sides provide security and easy placement of the crown. 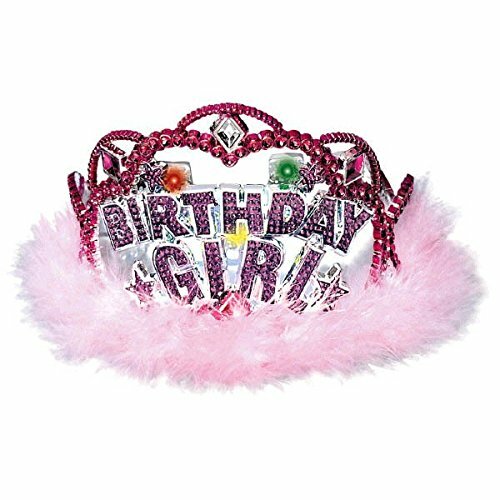 Pink Birthday Girl Sash & Glitter Tiara 2-Piece Set; Silver Princess Crown & Satin Sash Combo -- One size fits all 2-piece set --Metal tiara, glitter rhinestone decor, open adjustable back with integrated combs for secure hold --Sash 30 inches shoulder to hip, full length 60" x 3.75", pin to adjust --Use for birthday party, birthday meal out, school day, and beyond --Sash color: soft pink, tiara color: Silver with diamond glitter accents Make her feel like a princess for the day with this Birthday Girl Sash & Tiara combo set. 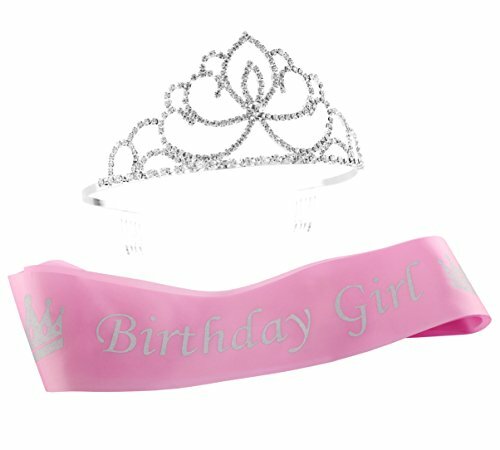 Silky pink sash helps everyone know who the special girl is, and tiara will make her feel special. This set is great for gals from toddler to 90's. 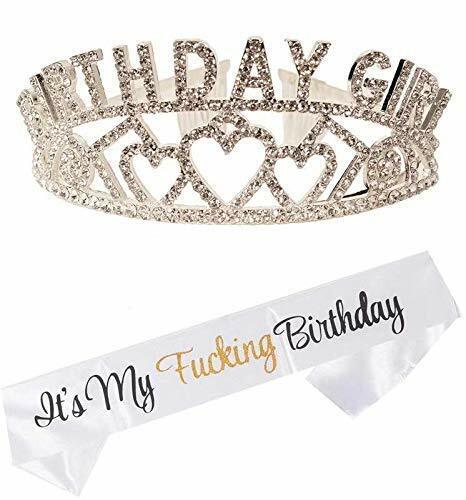 The tiara has goes from 18 inches infant stretching to XL adult. 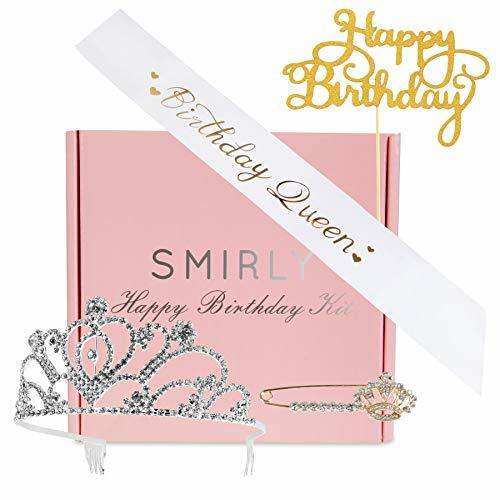 So whether your birthday girl is 5, 15, 55, or 95, you can enjoy this set.And the tiara is beautiful and sturdy and can go to the family costume dress-up box for hours of princess play. 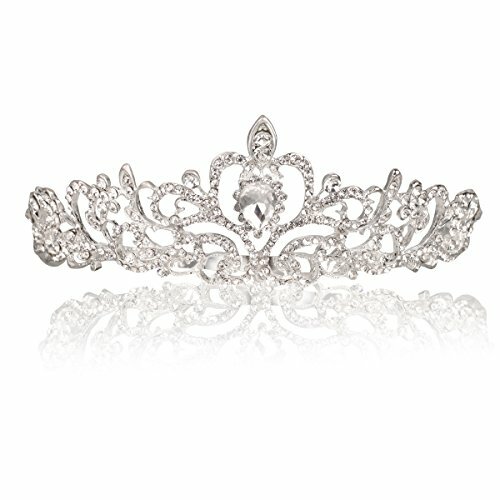 Tiara weight 1 oz., 18" circumference not stretched [back is open], back has "combs" that hold securely in hair Sash total length 60 in., can be pinned for smaller size person. Width 3.75 in.